The Student Union FIlm's Series provides showings of popular films on Fridays throughout the semester. 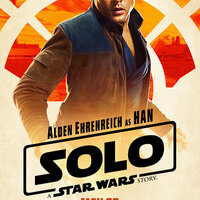 This Friday we will be showing Solo: A Star Wars Story. Come out and enjoy free popcorn and a great film in Pugh!